Well that's been a week we're glad is over. A difficult one for Vancouver Whitecaps off the pitch, and a mixed one on it. 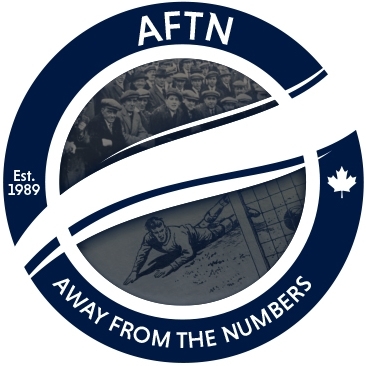 We're focusing on the footballing aspects of it all in the latest AFTN Soccer Show, as we look back at the match that was the 1-1 draw between the 'Caps and FC Dallas on Saturday. A good result considering all the line-up issues and uncertainty? We discuss that, who stood out, who didn't, the goals, the talking points, and more, plus we hear from Brek Shea [at 31:11] about the whirlwind Saturday he had. We also hear from the Dallas side from defenders Matt Hedges and Atiba Harris [40:40] who talk about the match, and former Whitecap Harris chats a little bit about the new football club he's setting up in his native St Kitts and Nevis. It's going to be a busy week for the 'Caps at all levels. Minnesota is next up for the MLS team, and we preview what that might look like [49:00], before turning our attention the Residency teams who head to the USSDA playoffs this week. We chat with experienced defender Pa Modou Kah [60:13], who's in charge of the U18 team this week, about his transition to coaching and the playoffs ahead, plus we hear from WFC2 head coach Rich Fagan [67:46], about what help his squad may provide for the team. Turning our attentions down south, it was quite the week for former WFC2 and SFU Clan head coach Alan Koch, whose FC Cincinnati side beat MLS opposition in the US Open Cup and revealed their new stadium proposals, with an eye firmly on making the jump to Major League Soccer. We chat with Alan [73:49] about all that, his time with the 'Caps and SFU, and lots more.